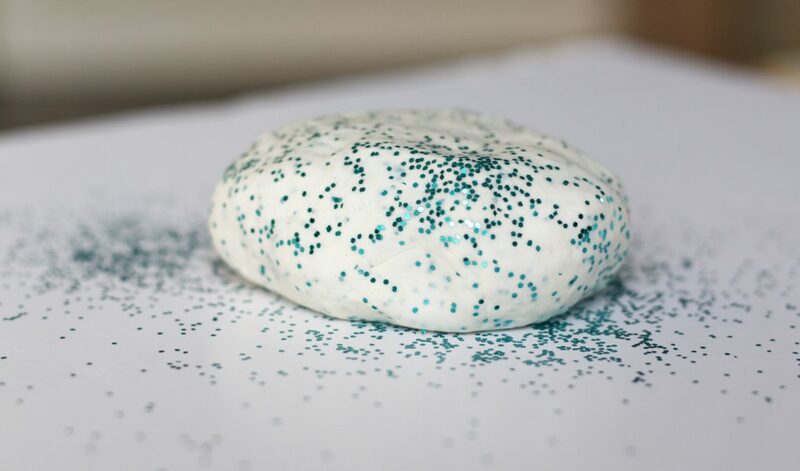 This super easy and glittery play-dough recipe with only 2 main ingredients is fun to make and won’t cost your wallet! 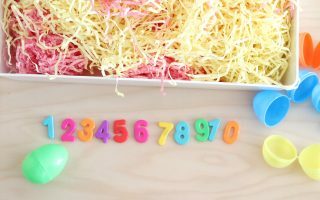 You’ll love how simple and quick it is to pull together! 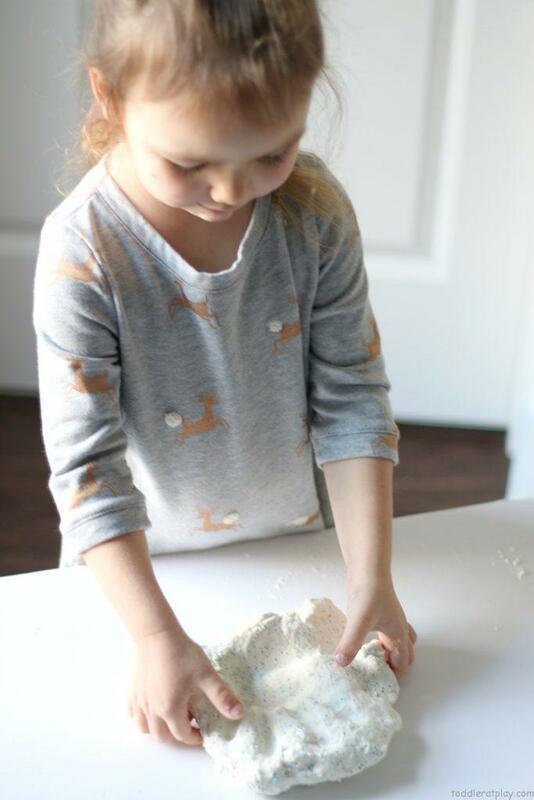 I’m always on the lookout for simple homemade play-dough. 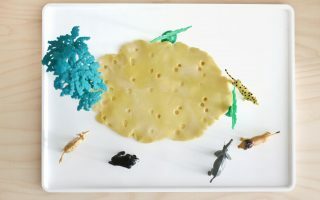 I love trying new recipes, playing with different colors, scents and ingredients and this play-dough recipe is amazing! 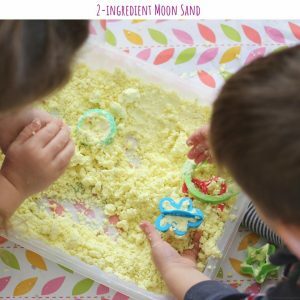 The play-dough is super soft and silky, glittery and the best part…the steps are sooo simple you can do this with your kids! Wouldn’t that be fun? 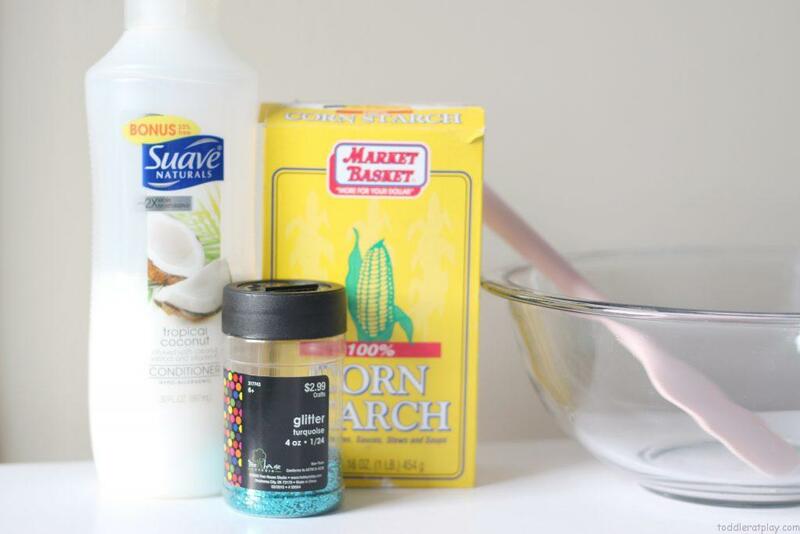 In a large bowl, dump 2 cups cornstarch. Add 1 cup hair conditioner, adding more to get desired consistency and mix with a spatula to combine. 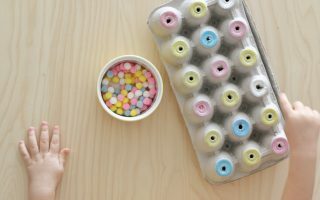 Sprinkle the glitter and continue to mix until the dough comes together and doesn’t stick to the sides of the bowl. 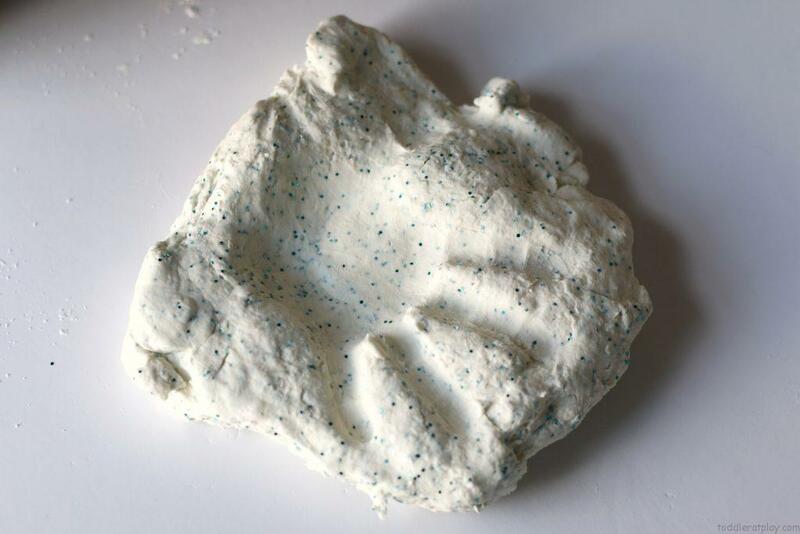 I kneaded the play-dough by hand for a bit too to get it to the right consistency. 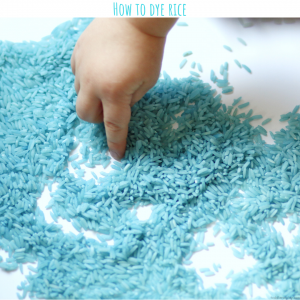 This recipe makes a little over a cup worth of play-dough and lasts a few weeks. Make sure to place it into a Ziploc bag when storing to prevent it from drying. 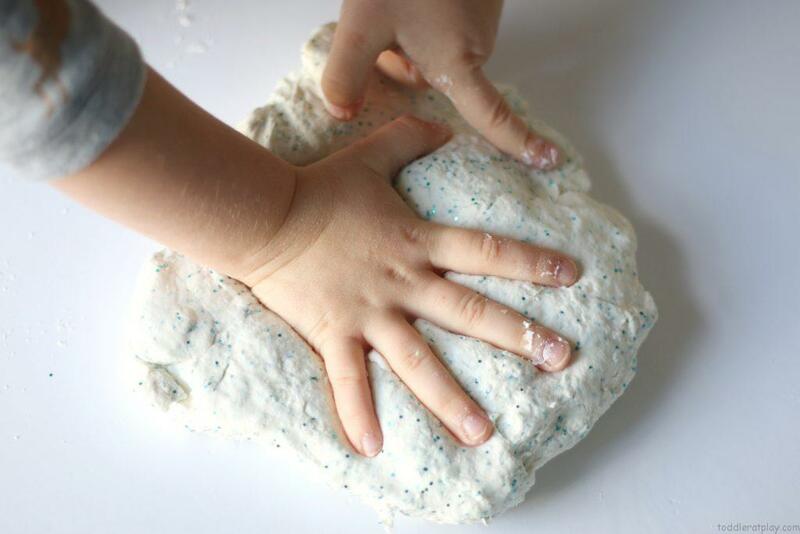 Play-dough is awesome, which kid wouldn’t agree? My kid’s can play with it for hours, making tracks with cars, wrapping something inside and telling me it’s a birthday present (their favorite activity!) and simply rolling it, pulling it, ripping it! They love to slice it with a knife or cut it with scissors. Pretend it’s cake or pastries serve them on their mini kitchen plates and so on. There’s endless possibilities, really. 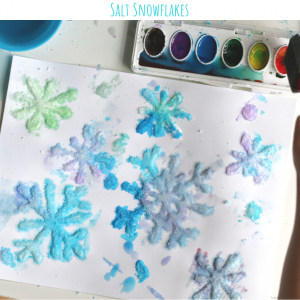 Make this glitter play-dough today!